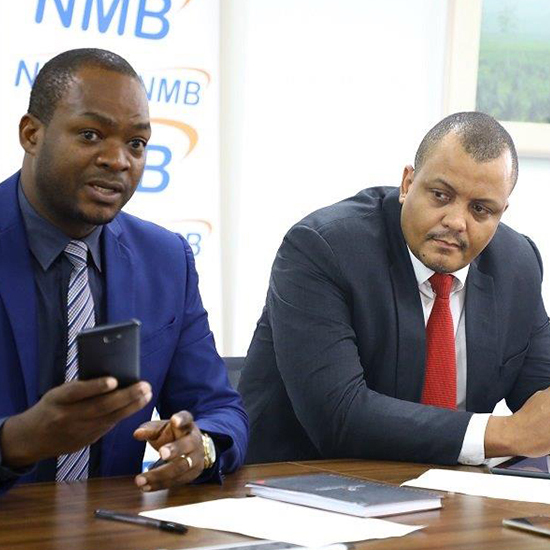 NMB Bank has introduced a digital credit facility for its agents NMB Wakala dubbed ‘Floti Fasta’, which allows agents to access instant financing through NMB Mobile. The Floti Fasta offering is designed to boost NMB agent’s working capital and will also help them to expand their business and create more jobs associated with NMB Wakala. This is an interest-free product which requires the recipient to only incur a 3% processing fee (VAT Inclusive), which will be charged upfront. The minimum amount for the Floti Fasta is TZS 50,000 and the maximum amount is TZS 5,000,000. According to NMB Bank’s Head of Payment and Accounts, Michael Mungure the facility is the first of its kind in the country and will support more than 6,800 agents to expand their business as their enhanced cashflow will allow them to service their customers anytime. “With the introduction of Floti Fasta, the question of floats to most agents is now solved, just use NMB Mobile and your business is assured”, he said. “Our mission at NMB has always been to create innovative products and services that tackle various financial challenges in the country. It was determined that there is a financial gap in accessing floats especially during closure of branch hours. We then saw this as an opportunity to provide a financial solution that is convenient to NMB Wakala agents through our App NMB KLiK”, he said. “NMB Wakala agents play a vital role in providing banking services contributing to the country’s economy and therefore as Tanzania’s largest bank it is essential to create an environment that works in their favour and help them meet the market demand. In this way we are contributing to accelerating financial inclusion in the country”, he added. Customers are now assured of service at all NMB Agents as they now have access to an instant float facility in case they run out. This new offering contributes towards making NMB Wakala one of the most reliable Wakala networks in the market.